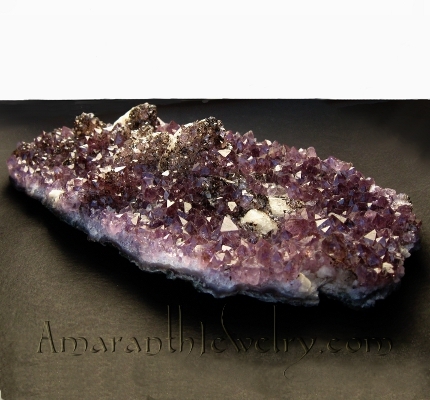 Beautiful Amethyst Crystals Plate from Brazil - One-of-a-kind gift! 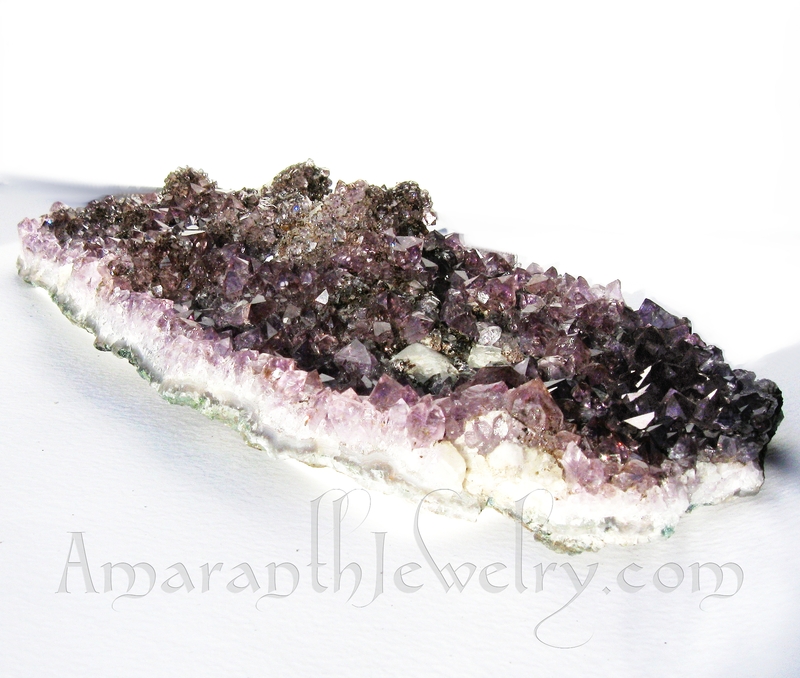 Amethyst Plate, Brazil, with Cristobalite & Goethite inclusions, 9.37" x 4.84" x 1.77"
Gorgeous cabinet-size plate of Amethyst crystals, with sharp, undamaged points up to 12mm across, some with inclusions of Hematite and Cristobalite (small white spheres inside the points, see close-up). 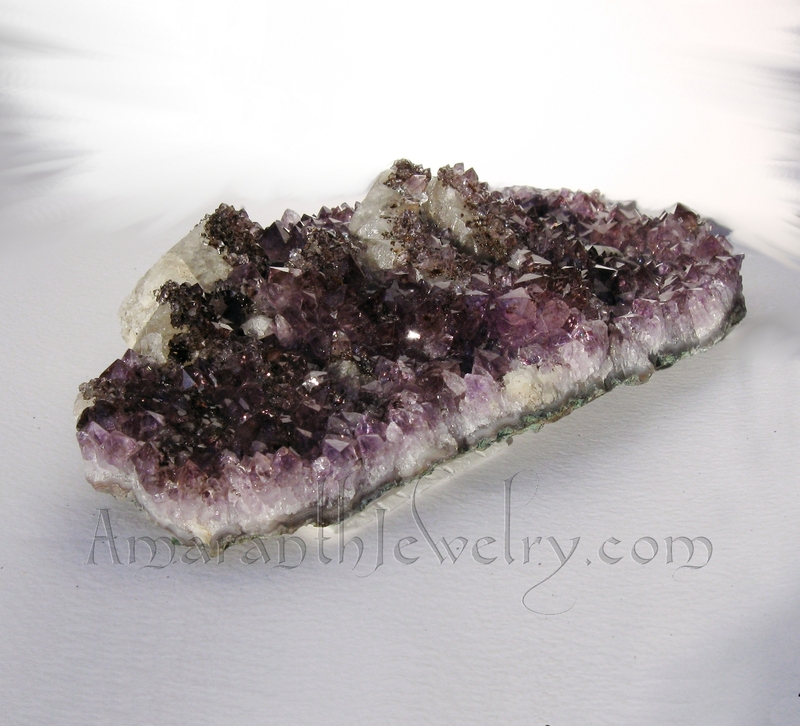 Also present are crystals of Calcite and Goethite. 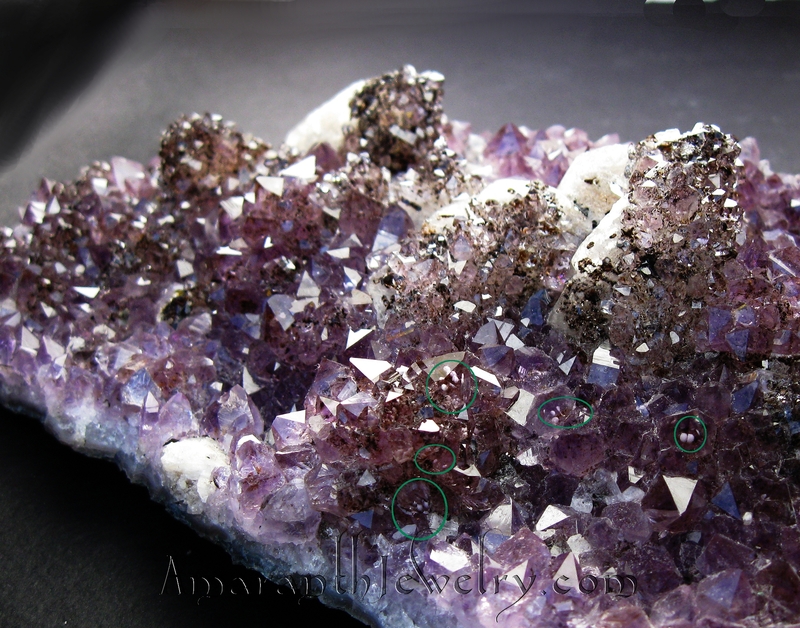 Such an abundance of points, sparkle and rainbows was difficult to photograph, but - take a look and enjoy! Please click on picture for extra-large close-up view. 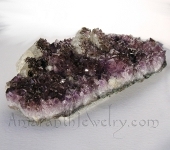 For a really high-magnification image of Cristobalite and Goethite inclusions in Amethyst, I suggest you visit this link (scroll down about 1/3 of the page): http://www.mindat.org/forum.php?read,17,223163,page=3 . Prepare to be delighted!